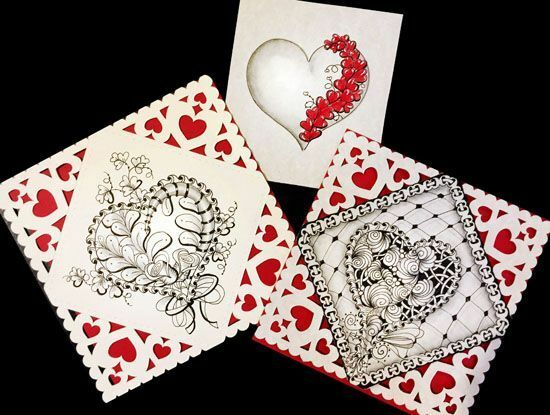 In this class you’ll learn specific heart-themed tangles perfect to create a special Valentines for that someone special! Spruce up your holiday with intricate and festive designs that are easy and fun to make. Beautiful cutout templates are provided.